Each year during the month of May, the Administration on Aging (AOA) part of the Administration for Community Living, celebrates Older Americans Month. 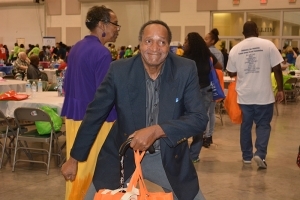 The 2018 theme Engage at Every Age emphasized you are never too old (or young) to take part in activities that can enrich your physical, mental, and emotional well-being. In honor of the national observance, Middle Georgia Regional Commission/Area Agency on Aging hosted our annual Senior Day Expo at the Georgia National Fairgrounds in Perry. 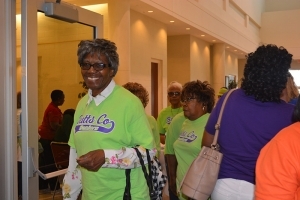 With more than 1000 older adults and community resource providers in attendance, the event was a grand celebration. Seniors engaged in an agenda packed with activities, socialization, information, and door prizes. Many thanks to each individual attendee, senior group, faith-based organization, corporate vendor & sponsor, local talent, and community celebrities whose contribution made the day a tremendous success.